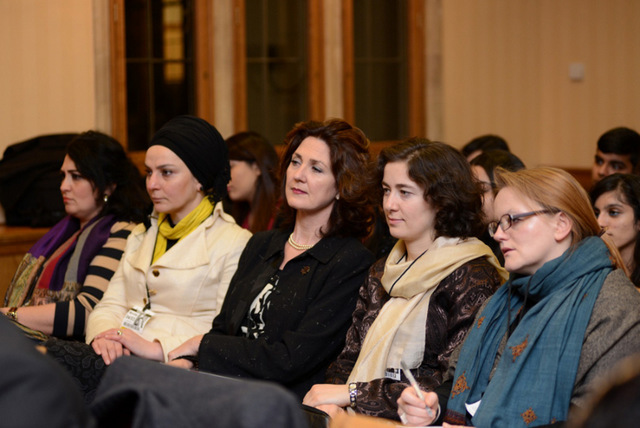 In celebration of International Women’s Day, Business Network organized a women entrepreneurs program which was the second in a series of events to be held at the House of Lords. Many business people participated in the program. Lord Nazir Ahmed headed and hosted the panel discussion. Heather Melville from RBS, Barbara Njau from the Financial Times, Tanya Rennick from The Oyster Club and Dr Dababrata Chowdhury from UCS all took place as panelist. Barbara Njau mentioned that social media is very important for today’s business people and emphasized that entrepreneurial businesswoman should use social media more efficiently. Barbara Njau, stated that being young and a women can be an advantage in business, she said that businesswomen who come from different background can convert this diversity into an opportunity. Tanya Rennick, emphasized that staying in and watching TV all day at home could effect people negatively. She stated that she believes that whatever job that you want to do is, you must have a goal and make an effort to get to your goal. Heather Melville stated that female entrepreneurs hear the sentence “You cannot do this” many times and they shouldn’t allow this to affect them. In fact they can use this to motivate themselves and say, “watch how I’m going to do it.” Heather emphasized that female entrepreneurs should be insistent and should trust themselves. She also mentioned that in our day, joining networking events and using these events in a beneficial way are important to be successful. Dr Dababrata Chowdhury specified that entrepreneurs should determine a model for themselves and they should try to govern their businesses. He mentioned it is important to get help for mundane and simple repetitive jobs so that the entrepreneur can focus on the real side of the business, which would further build and improve the business. Dr Dababrata mentioned that self-confidence is paramount for a successful business and he explained that the emotion of self-confidence is not inborn it can only be gained afterwards. The program, which was hosted by Lord Nazir Ahmed was found beneficial by participants and it was stated that these programs are needed more often.